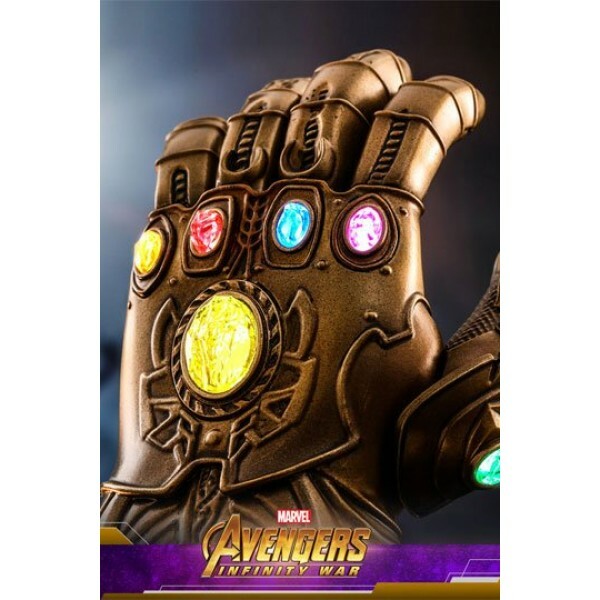 Earth's mightiest heroes join together to battle against Thanos, the dangerous and cunning warlord, who is now searching for the crucial Infinity Stones which include Mind Stone, Time Stone, Power Stone, Space Stone, Reality Stone, and Soul Stone in order to wipe out half of the universe with a snap of his fingers! 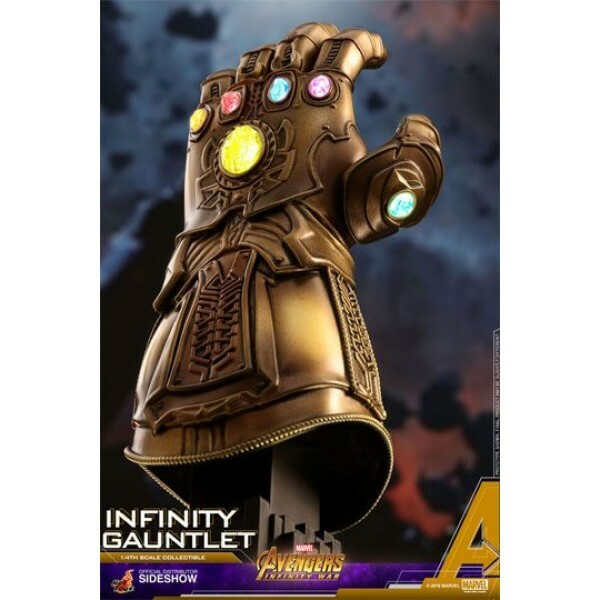 Sideshow and Hot Toys are excited to introduce the powerful Infinity Gauntlet in quarter scale from Marvel Studios' blockbuster Avengers: Infinity War! 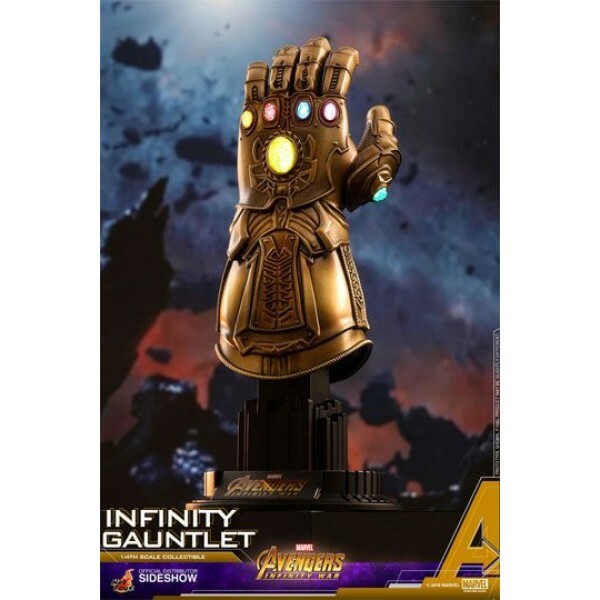 This quarter scale sized collectible stands approximately 17 cm tall, and it features authentic and fine details of the Infinity Gauntlet. It is equipped with LED light-up function with two lighting modes which include light-up effect and pulsing light effects for the six mighty Infinity Stones, finished with fine metallic painting and weathering effects, and a specially designed custom base with movie logo that will hold the gauntlet firmly in an upright position. 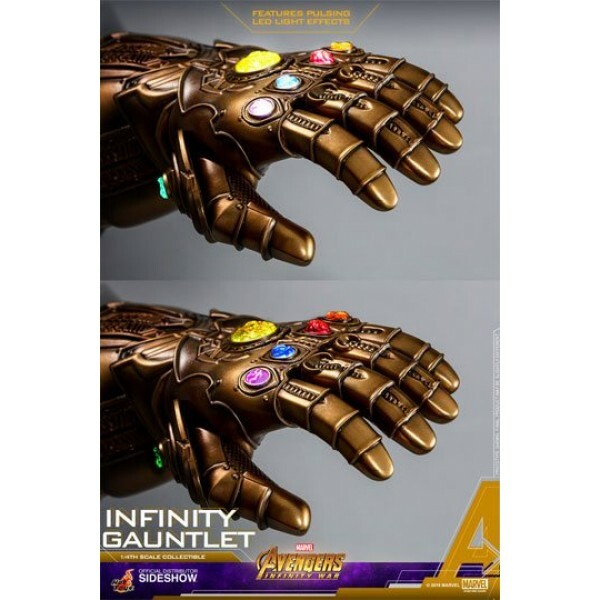 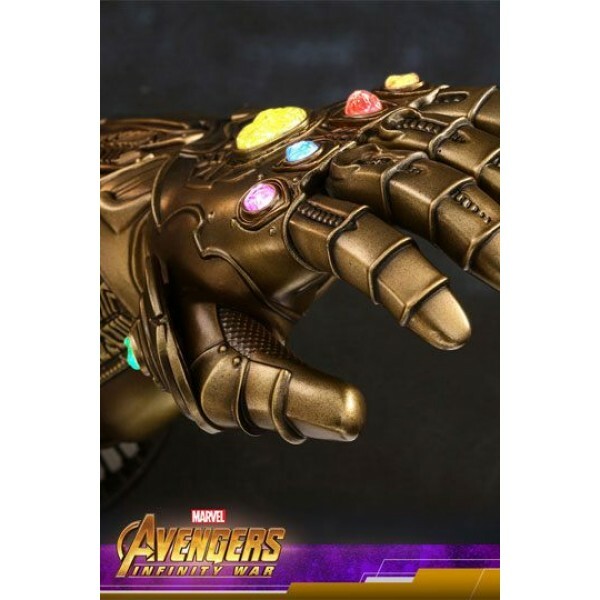 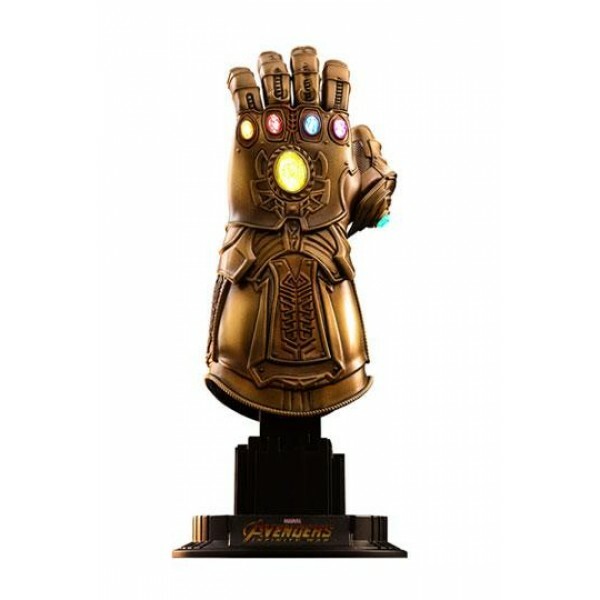 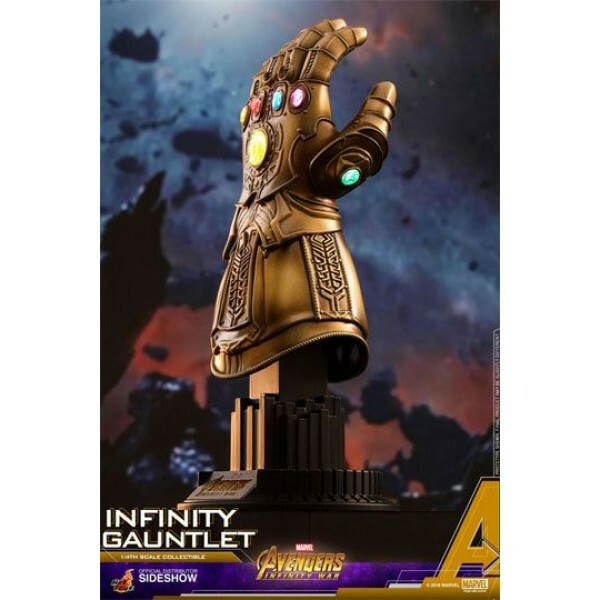 Don't miss a chance to own this movie accurate Infinity Gauntlet collectible, as it will surely capture attention in your Marvel Cinematic Universe display!